A very interesting lecture will be presented by Dr Katerina Bregianni, Research Director, at the Modern Greek History Research Centre of the Academy of Athens, on Sunday 18 March, as part of the Greek History and Culture Seminars offered by the Greek Community of Melbourne.The lecture is entitled “The Ionian Islands in the 19th century”, and it will be presented in Greek, on Sunday 18 March, at the Ithacan Philanthropic Society. The lecture is based on primary and secondary sources’ elaboration, referring to the administrative organization and to the state system in the Ionian Islands under the British Rule. As a reflection, the social structure of the local society was interconnected to the administrative mechanism. From a methodological perspective, the use of administrative archives can be instrumental in synthesis’s process, in an effort to portray social networks and to clarify the formation of both "subjective" and collective identities. Developing, however, the empirical work in the factual context is deemed necessary. This presentation examines the gradual articulation of the state mechanism and the way that this it is reflected in the intended rationalization of legislative and executive authorities. In this context, the language used in administration (Italian, English, and then Greek) elucidates reforms or alterations of the State mechanism, as well as it is related to the emergence of a local identity. The statecraft of the Ionian State is also being examined, while the reference to the previous constitutional texts of the Septinsular Republic was an encounter of institutional continuity and discontinuity. Thus, the administrative mechanisms of the Ionian State were analyzed in their interaction with the local society, as an indicator of British colonial practices. 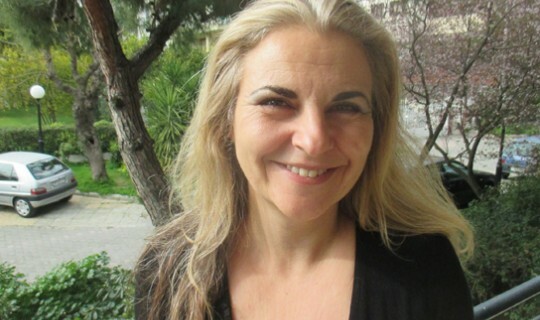 Katerina Brégianni is the Research Director, at the Modern Greek History Research Centre of the Academy of Athens where she commenced as a researcher in 2003. She is an external affiliated researcher to the group Laboratoire de Démographie et d’Histoire Sociale, CRH-EHESS, Paris, were she is charged with individual research program on European interwar crisis from monetary perspective, while she is participating in a collective project on the history of international institutions. Previous roles include: Scientific associate at the Bank of Greece’s Centre of Research, tutor at the Hellenic Open University, teaching European Economic History (2001-2011) and associate researcher at the Hellenic Banks Association (1999-2004). Her doctoral studies completed at the University of Paris I-Pantheon Sorbonne in 2000, focused on the Greek rural economy during the interwar period. She has published various articles on Modern Greek Economic and Social History and is the author of three research monographs.